LaVern M. Johnson Park will be closed to vehicles, from Tuesday, March 19 to Friday, March 22 for maintenance. Bike and foot traffic may access the trails in the park during this time. If you do enter LaVern Johnson Park, please be cognizant of activity during this time. We look forward to welcoming you back to the park in Spring! Saturday, March 23 | 9 a.m. to 4 p.m. Whether you want to learn how to safely remove this invasive species from your own property, help out your neighborhood or have fun connecting with a new community of volunteer stewards, this project is for you! Join Wildlands Restoration Volunteers, Boulder County Parks & Open Space and the Town of Lyons in a coordinated project to remove the A List Noxious weed species, Myrtle Spurge from open space and adjacent properties this Saturday, March 23, from 9 a.m. to 4 p.m.
Wildlands Restoration Volunteers will provide all necessary tools and safety equipment, as well as trained volunteer crew leaders to oversee the work. Lunch and snacks are also provided for volunteers. receive more information on the project, including how to sign up, visit WRV’s Project Website, or contact Morgan Crowley, Restoration & Weeds Program Manager at morgan@wlrv.org. Looking for a meaningful job, or know someone who is? 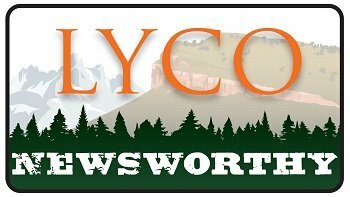 Look no further - the Town of Lyons is hiring! The Town is currently seeking candidates for a Flood Recovery Project Manager, Maintenance Worker 1, Seasonal Parks and Public Works Maintenance Worker, and Finance Director/Treasurer. View all job opportunities and apply at www.townoflyons.com/Jobs. Pre-sale Tickets Now on Sale! Lots to do and see for all ages! 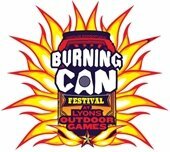 Join us on June 1, 2019 for this year's Burning Can at Lyons Outdoor Games. This year's festivities include Outlaw Yoga, Kayaking, a Trail Run / Beer Relay, Dock Dogs, Bike Obstacle Race, BMX Dirt Jump Comp, and so much more. More than 70 breweries will take part in Burning Can. Plus, just announced, Moon Taxi has been added to the musical lineup! Pre-sale tickets are available now at burningcancolorado.com. Saturday, April 6 | Rogers Hall | 10 a.m. to 10 p.m. The 5th Annual Lyons International Film Festival is Saturday, April 6, from 10 a.m. to 10 p.m., at Rogers Hall. 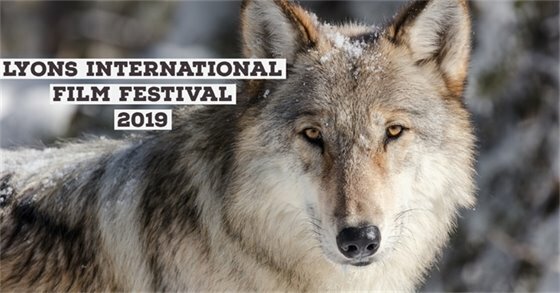 This year's films are devoted to those who love nature, the outdoors and connecting to others. The film festival has a mixture of documentaries and fun stories, including stories about resilience, the individualist, the trailblazer, and those who take the road less traveled; the films were selected with the Lyons in mind. Filmmakers from all over the world will be traveling to Lyons to represent their film. Tickets are on sale now via www.coloradofests.com. An all-day pass to all the films is $25, and tickets to the individual blocks are $10. Pickup from Your Property Included! As part of the Lyons Green Star Community and Zero Waste efforts, Lyons Volunteers is hoping to reduce the volume of Lyons area residential waste that goes to the landfill for disposal, by encouraging recycling. Lyons’ recycling bins do not accept scrap metal or any type of Styrofoam, but the ECOcycle CHaRM facility in Boulder accepts scrap metal at no charge, and the rigid or hard block Styrofoam for a small fee. This spring, Lyons Volunteers plans to periodically offer to collect residential scrap metal items and hard Styrofoam, and bring them to CHaRM for drop-off. This is a volunteer effort and there is no charge, but donations are appreciated. To request a scrap metal pickup, visit Lyonsvolunteers.org and fill out the online work request form. Lyons Volunteers will get back to you to schedule the pickup of scrap metal/hard block Styrofoam at your property. Scrap Metal means items that are 50% or more metal, including appliances, such as stoves, washers, dryers, water heaters, dishwashers. Appliances such as refrigerators, freezers, air conditioners, etc., can only be accepted if the refrigerant has been removed (by state law, refrigerant must be removed by a licensed company to do so, before recycling or disposal). Items that used gas/oil, for example, lawn mowers, must be emptied of gas/oil to be accepted. Hard block Styrofoam are the Styrofoam packaging inserts that do not bend, break or squash down when you try to flex or compress them.